Midweek Literary Reading Series @Bruce’s Garden: Everybody’s favorite geologist, Sid Horenstein! 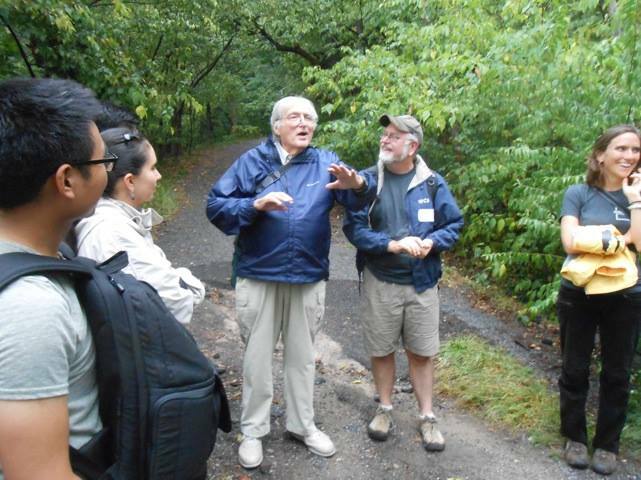 Sidney Horenstein is a geologist and Environmental Educator Emeritus with the American Museum of Natural History and the natural history consultant to the Bronx County Historical Society. He has written extensively about New York City Geology, particularly our neighborhood! His writings include New York City Mastodons: Big Apple Tusks, (2008) that discusses the discovery of a fossil of the large extinct mammal that was unearthed near Seaman Avenue and Dyckman Street during excavations for the A train. Copies of his 2007 article on our local parks: Inwood Hill and Isham Parks: Geology, Geography and History, will be available at the reading. He will read from his latest book, written with Niles Eldridge, Concrete Jungle: New York City and our Last Best Hope for a Sustainable Future. (University of California Press 2014). Northeast Corner Isham Park, Inwood. A Train to 207. 1 Train to 215.